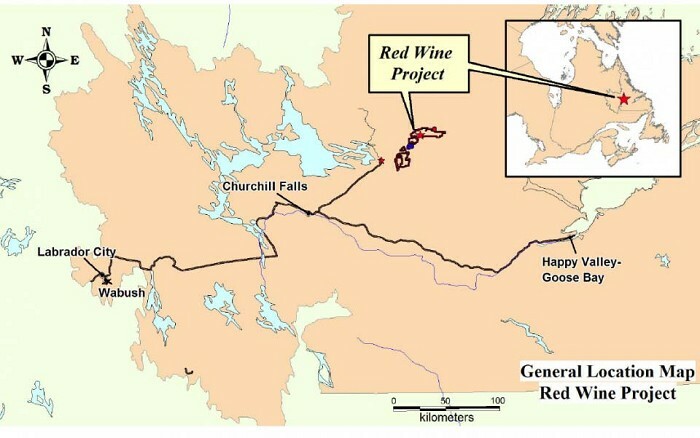 The Red Wine project area consists of 322 claim units covering 80.5 square kilometres, five historic rare metal showings and a new rare earth element occurrence. 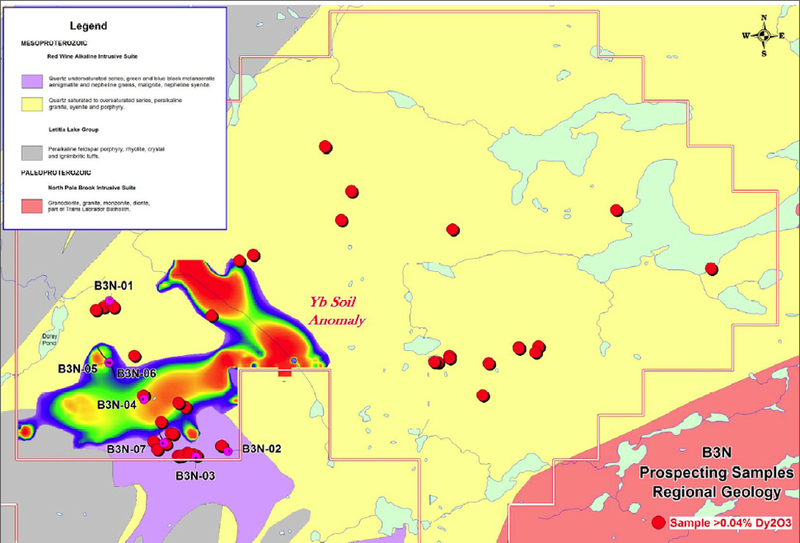 All occurrences are located within the Red Wine peralkaline complex that has a potential strike length of 53km. 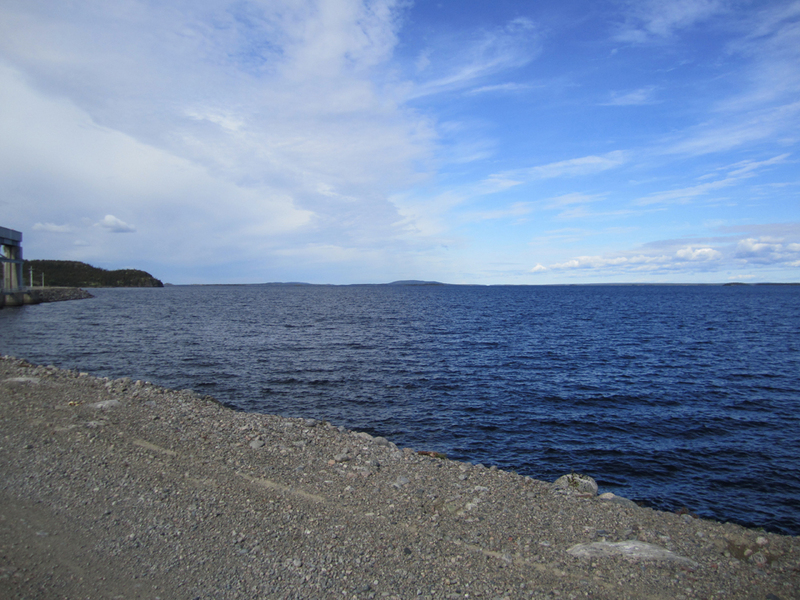 There’s all-weather road access to within 20 – 50km of the various showings. 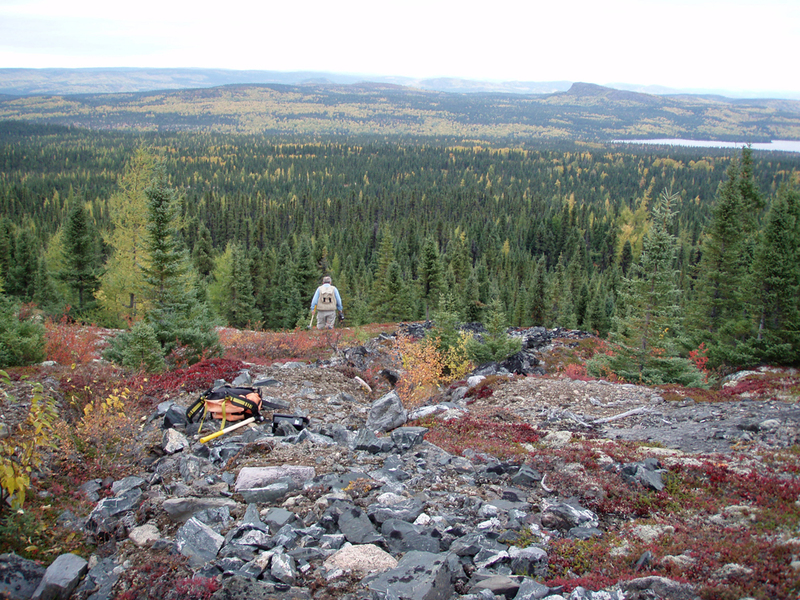 The Two Tom Property is situated within the Central Mineral Belt of Labrador, proximal to the northern margin of the Grenville Structural Province. 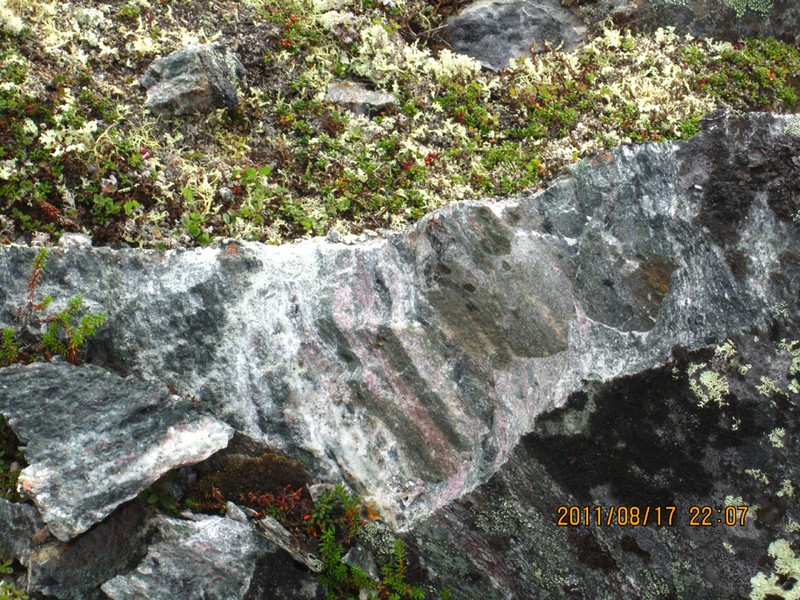 It is underlain by peralkaline volcanic and porphyritic rocks of the Letitia Lake Group and cogenetic peralkaline and alkaline plutonic rocks of the Arc Lake and Red Wine Intrusive Suites (~1.3 Ga). 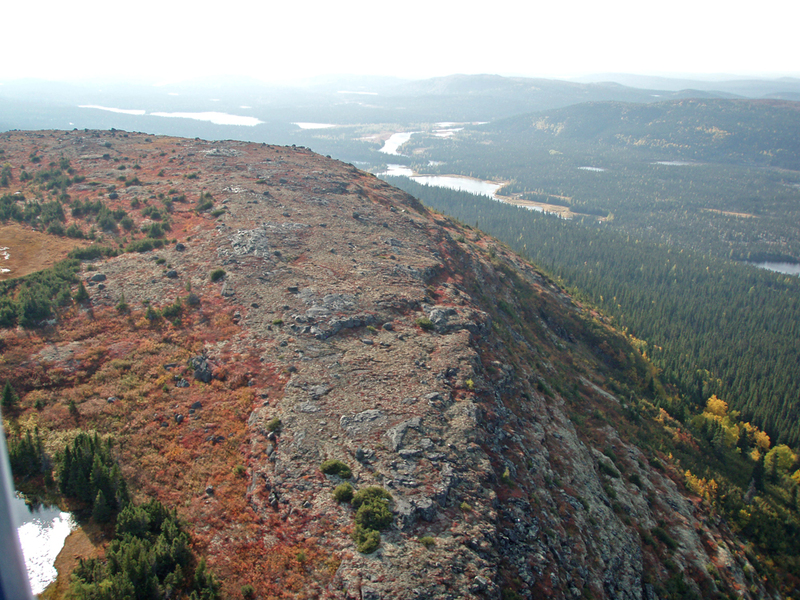 The Letitia Lake Group and the associated intrusive rocks are bound on the north by terrestrial to shallow marine sedimentary rocks, basaltic flows and gabbro sills of the Seal Lake Group (1.0 to 1.2 Ga) and to the south by granitoid rocks of the Trans- Labrador batholith (1.65 Ga) (Belik 1996). 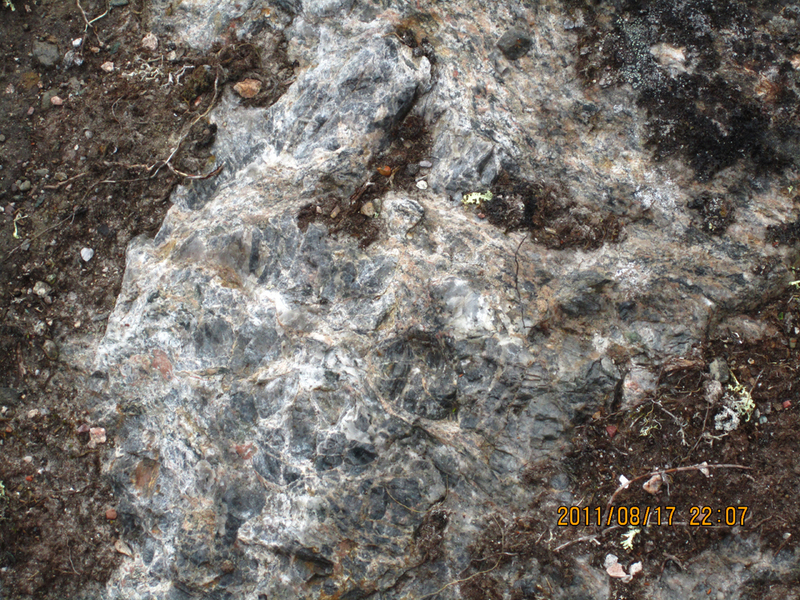 The Two Tom deposit occurs within a peralkaline syenite pluton that is 2 km in diameter. 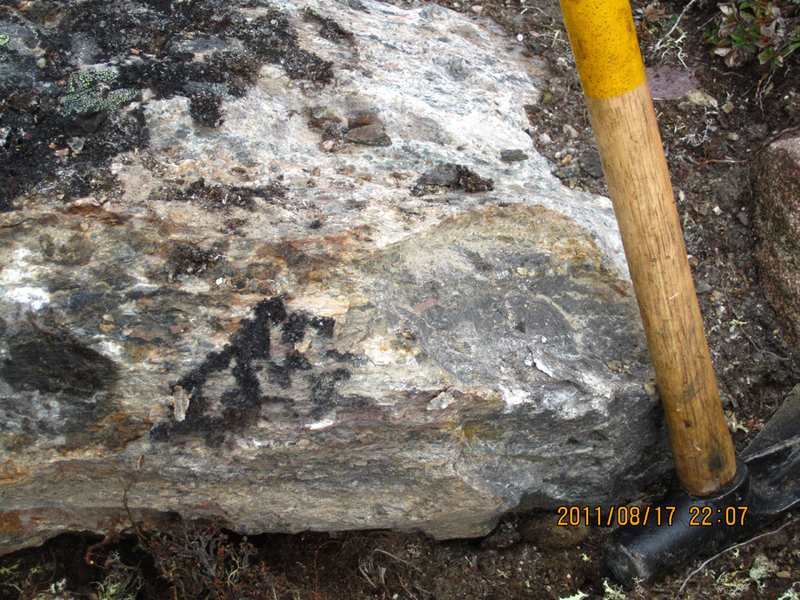 The southern portion of the pluton is comprised of unmineralized medium grained riebeckite syenite. 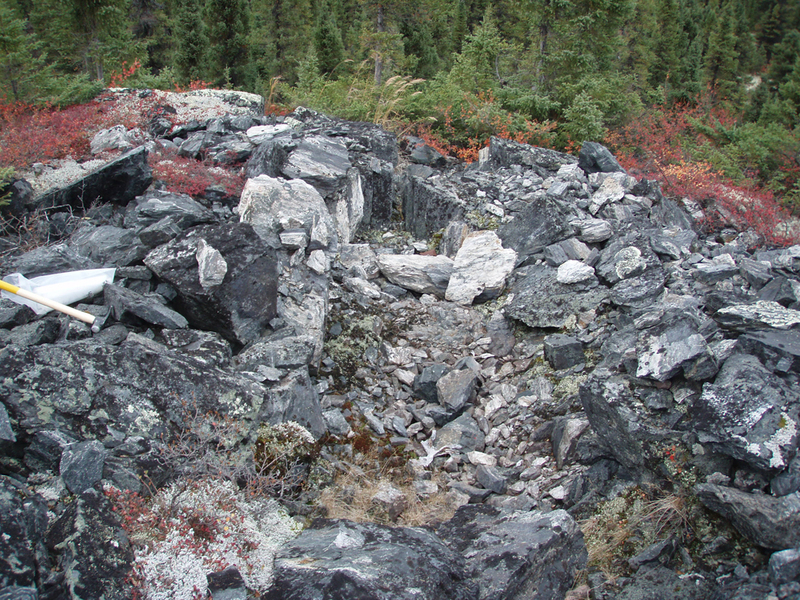 According to Miller (1988), there is a mineralized syenite outcrop in the northern portion of the pluton, which intrudes the Letitia Lake Group at the lower contact with the Bessie Lake Formation (Miller 1988). 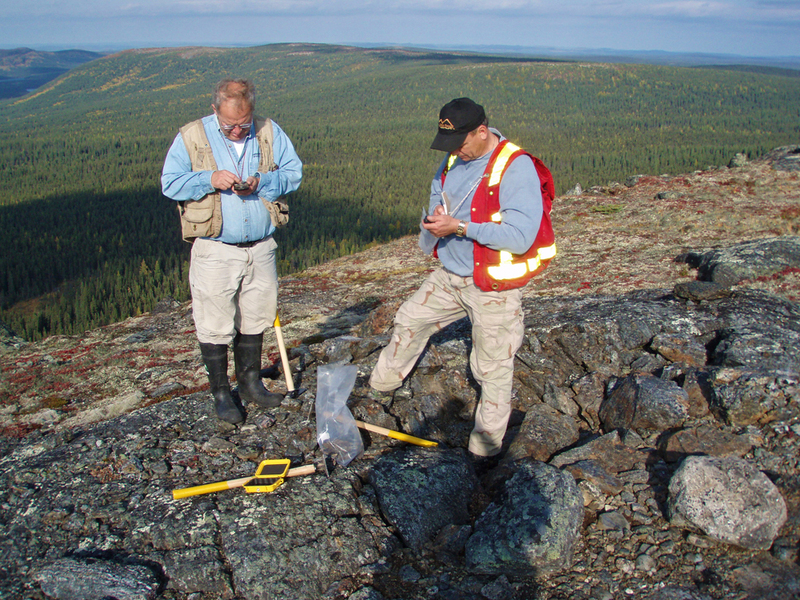 The northwest striking Two Tom deposit has been traced by prospecting, trenching and drilling; and has been interpreted over 1.1 km. 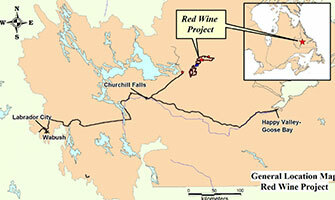 The Two Tom deposit is situated within the eastern end of the Red Wine Complex (REM press release: September 18, 2011). 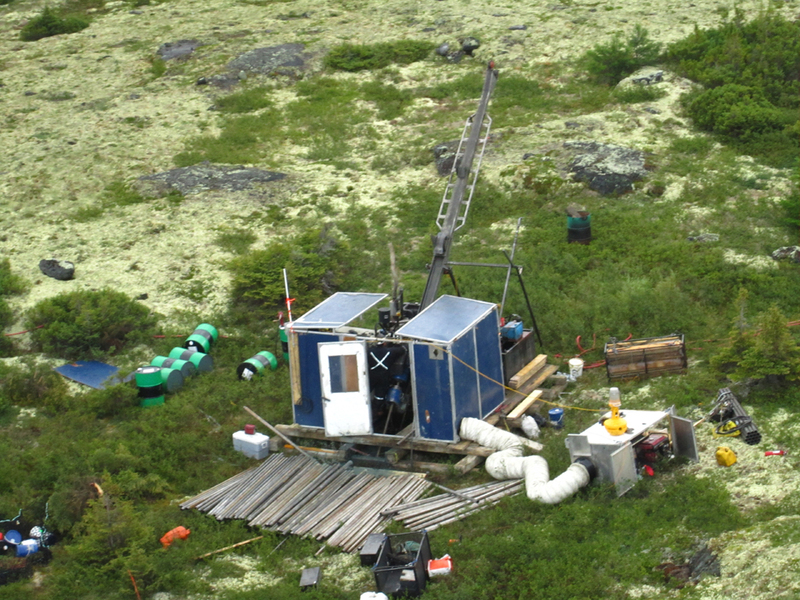 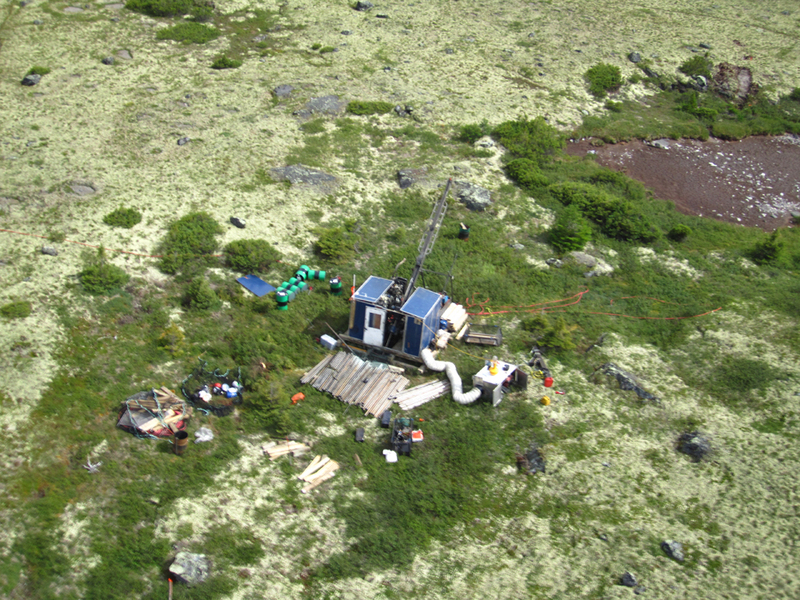 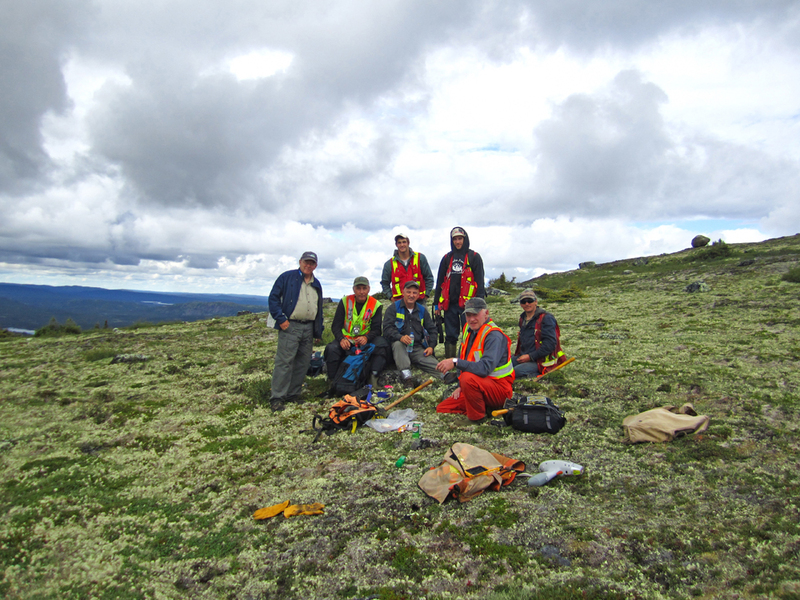 Exploration completed by CRE in 2010 and 2011 on the Property includes prospecting, geological mapping, airborne geophysical surveys, trenching (channel sampling, and diamond core drilling. 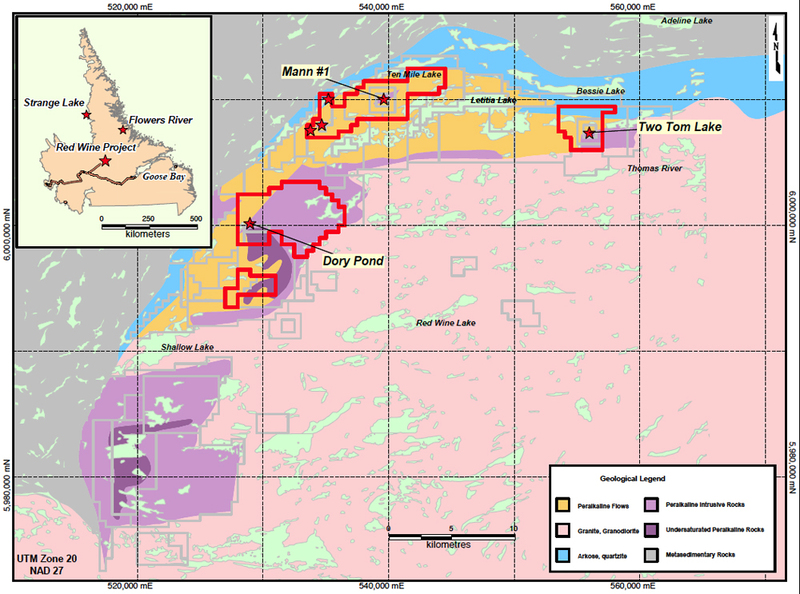 The block model and mineral resource for the Two Tom deposit is classified as having Inferred Mineral Resources based on drillhole spacing and sample data populations. 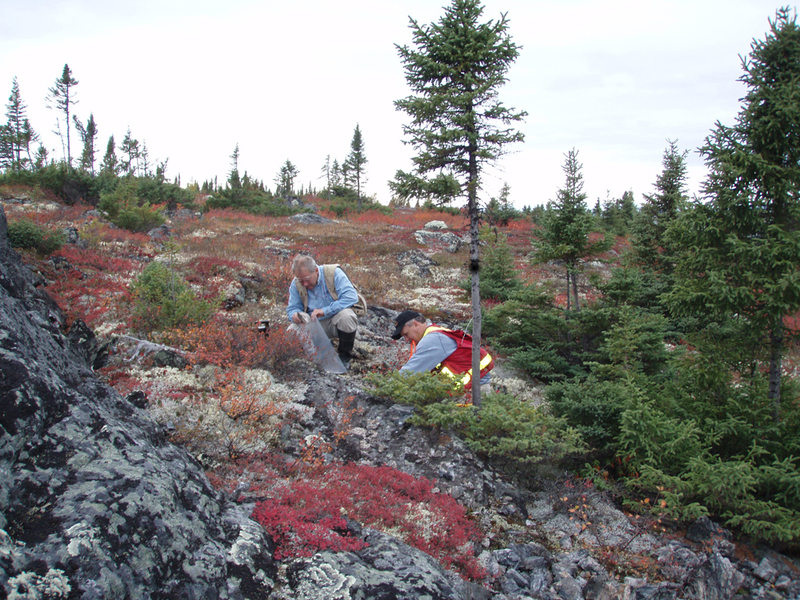 The mineral resource estimate for the deposit, at 0.6 total rare earth oxides percentage (TREO%) cut-off, is an Inferred Resource of 41 Mt at 1.18% TREO, 0.26% niobium pentoxide (Nb205), 0.18% beryllium oxide (BeO) and 0.06 thorianite (ThO2% with 5% of the TREO being made up of heavy rare earth oxides (HREO)). 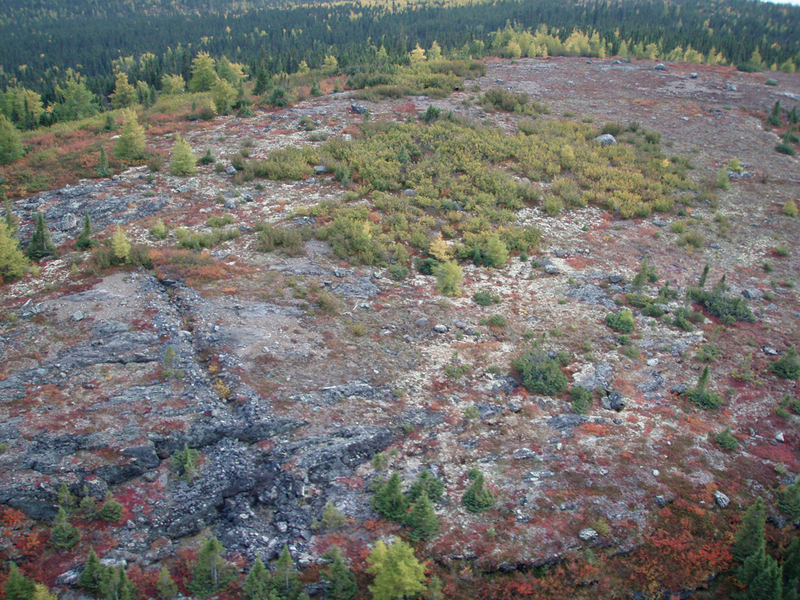 The mineral resource was estimated by the ordinary kriging (OK) interpolation method on capped grades for all 15 rare earth oxides (REO) and three associated metal oxides, Nb205, ThO2 and BeO. 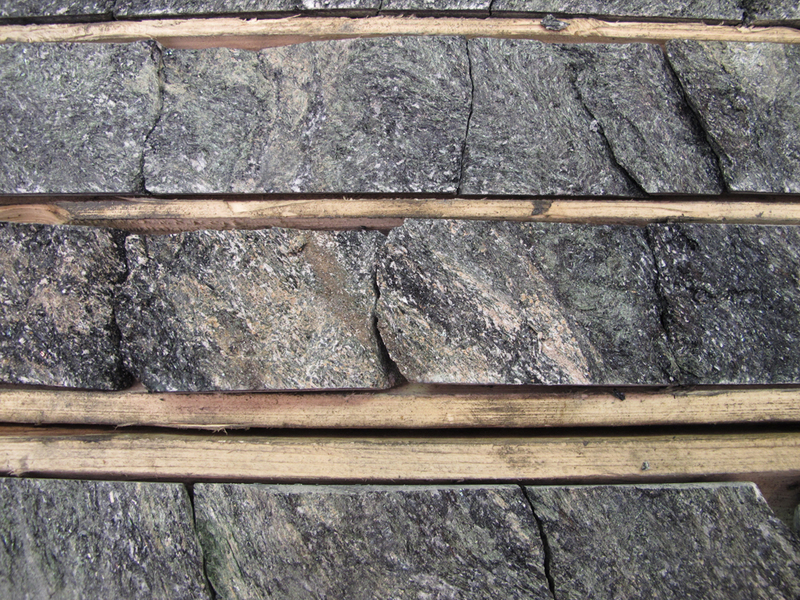 The TREO% is a sum of the 15 individual interpolations of the REOs. 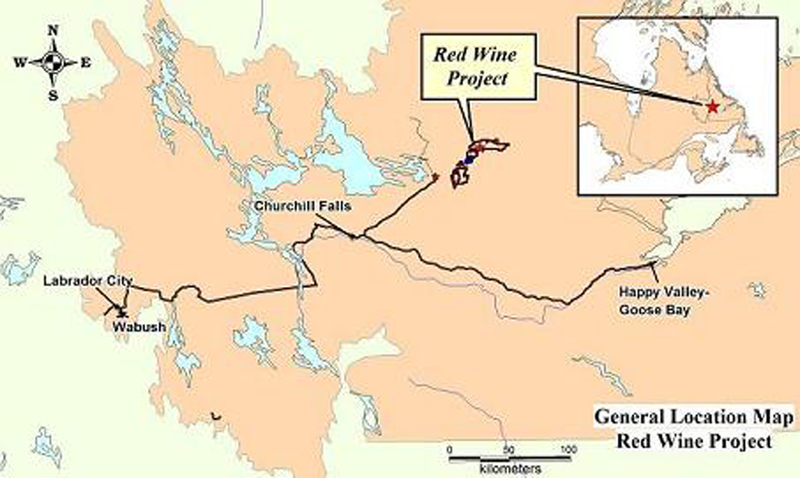 No recoveries have been applied to the interpolated estimates. 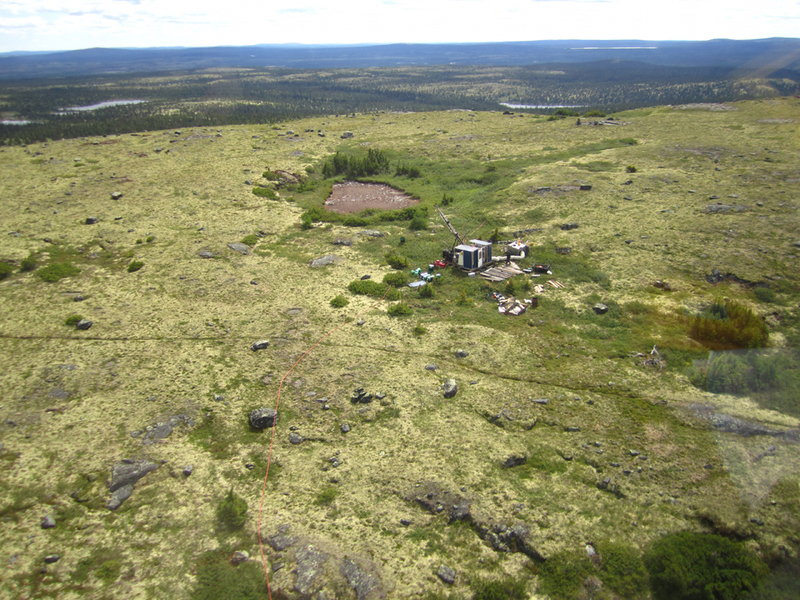 Radiometric zone traced up to 2 km long and 100m wide. 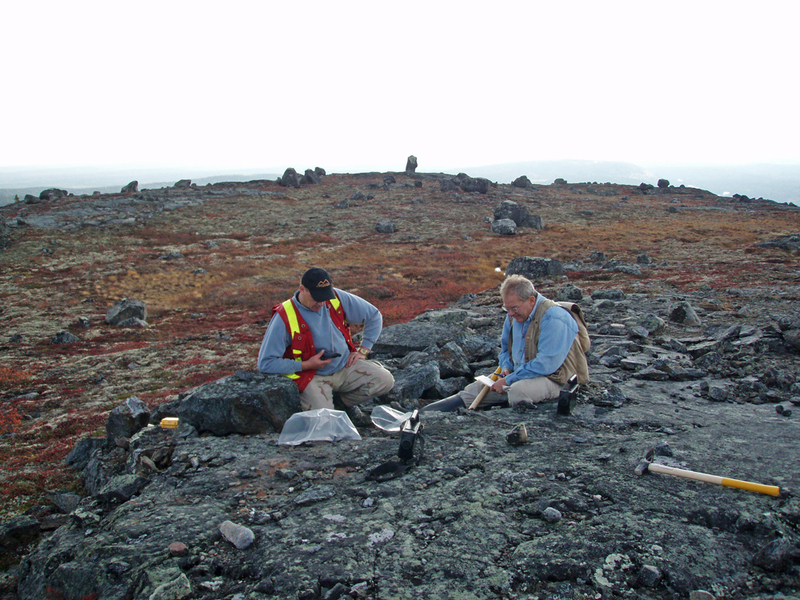 In 2009 Rare Earth Metals took 16 grab samples from a number of old blast trenches and obtained Beryllium values up to 0.97% BeO, Niobium values up to 2.35% Nb2O5, and TREO values up to 4.99%. 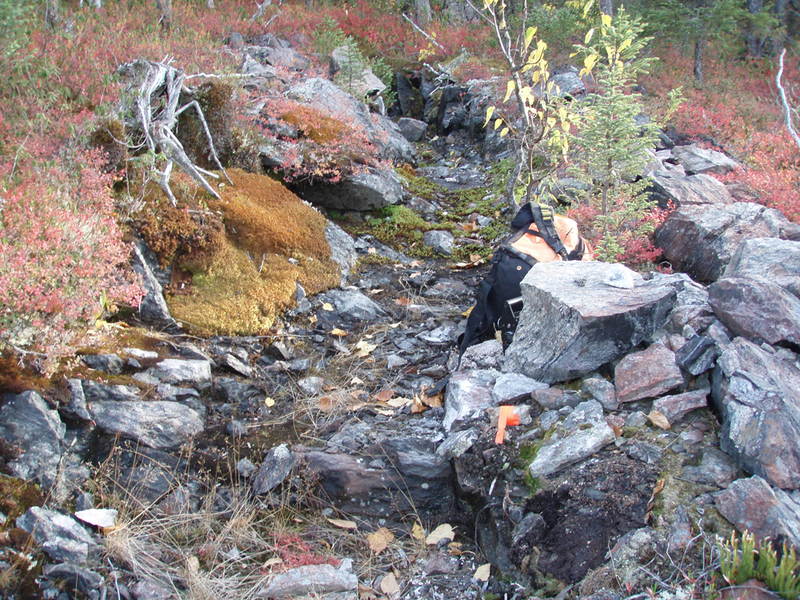 2010 channel sampling of old blast trenches returned assay values of 1.35% TREO / 0.52% Nb2O5 / 0.35% BeO over 30 metres. 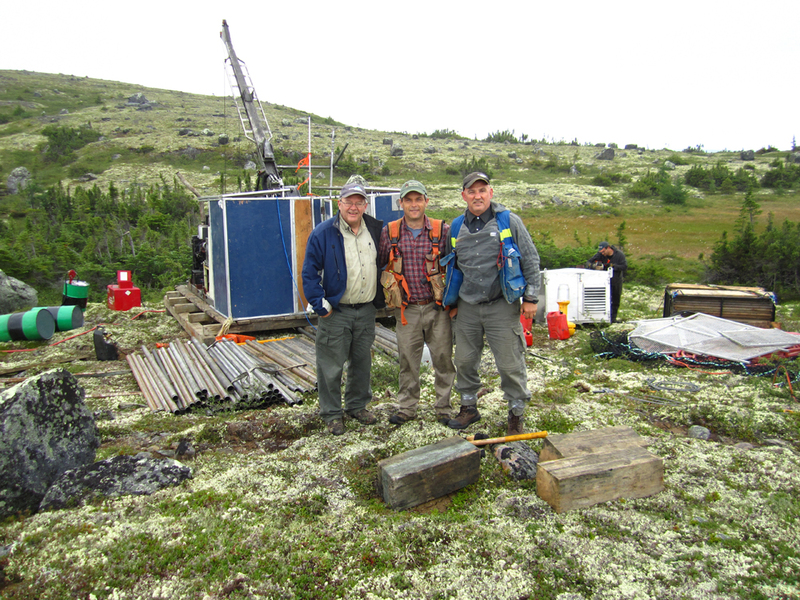 Diamond drilling activities in 2010 tested the mineralized zone over a strike length of 600m with 6 drill holes. 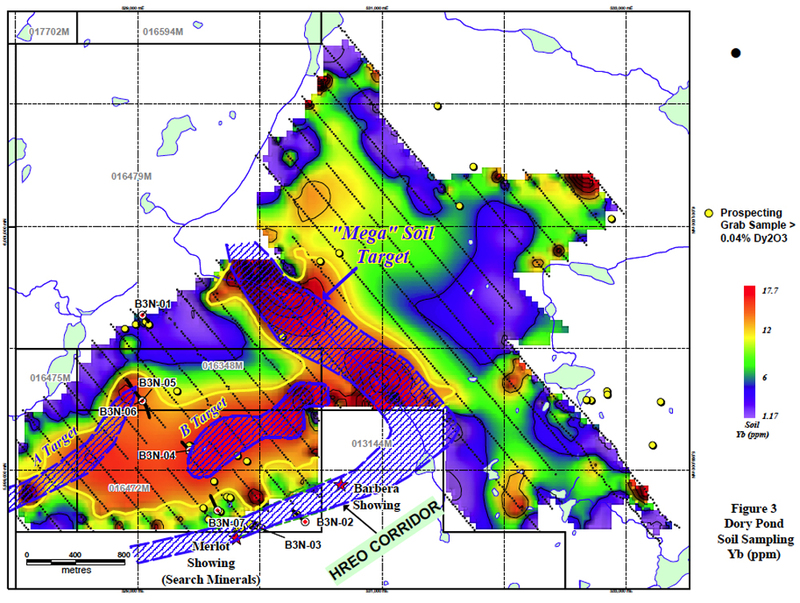 Best intersection returned a value of 1.71% TREO / 0.24% Nb2O5 / 0.20% BeO over 27 metres within a wider zone of 1.04% TREO over 70.5 metres. 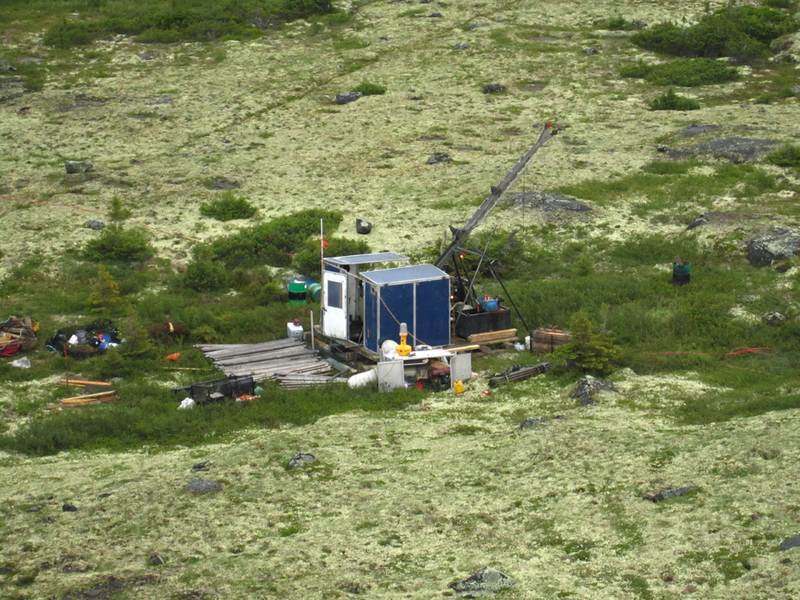 Mineralized zone has been traced on surface by prospecting for 1500 metres.